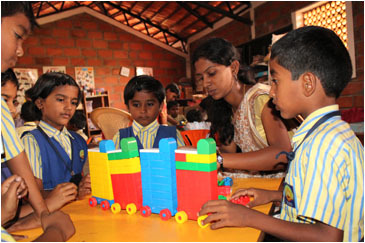 JET Rural Education Centre CBSE Affiliation number 830501. 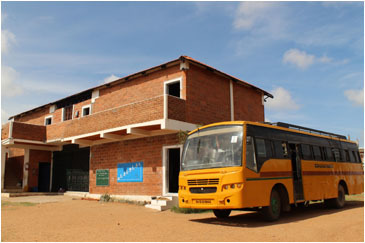 JET Rural Education Centre, a CBSE School, was founded in 2006 under the aegis of Jagruthi Education Trust, to provide affordable, quality education to the rural children in Chitradurga. Located at Gollahalli, Hiriyur Taluk (20 km towards Challakere) , the school currently has around 750 students hailing from 60 villages in the neighbourhood. Transport: 9 dedicated busses that presently cover 60 villages in 3 taluks (Hiriyur, Challakere, Chitradurga) of Chitradurga District. JETREC is affiliated to CBSE, New Delhi, since 2013 for providing secondary school education. Affiliation number is 830501. For details, please click here. As per CBSE guidelines, JETREC follows NCERT curriculum. JETREC follows Karadi Path methodology for teaching English. This is an indigenously developed language learning process, which has revolutionized the way language proficiency is achieved in Indian schools. KPM has proved that higher and faster language proficiency can be easily achieved.